Apart from spending 40 hours a week working for the big guy, most of us have unique interests on the side that we’d love to give our free time to. Problem is; between working 9-5, doing that daily train commute and scrambling to find at least 7 hours of quality sleep, it can be quite the challenge to find enough time for your favourite pastimes or personal goals. Fortunately, not all hope is lost. There are simple ways to “hack” your busy work schedule and find the free hours you need for your life’s passions. Here are 4 major tips to make time for your hobbies while still maintaining a successful, busy work life. Whether your hobby is hitting the gym, filming beauty vlogs or reading through Stephen King’s entire profile of novels – you’ll never “find the time” for what you love to do if you don’t plan for them within your daily or weekly schedule. Set aside time each morning to plan out your day (prioritising your most urgent tasks, of course) and find the free slots of time in your schedule to fit in your side goals and projects. Better yet, if you really want to stay on top of things, plan out the entire week ahead just before you hit the bed on a Sunday night. You’re much more likely to spend time on your hobbies when they’re an official part of your daily set of tasks. Just like how you’d spend your money wisely - you only have as much as your bank account provides, after all - time is a resource you shouldn’t put to waste; you only have 24 hours in a day, and more than half of that is either spent sleeping or working your full-time job. Instead of caving in to your Netflix binge-cravings and spending 2-3 hours of your time at home breezing through the latest Daredevil season (unless of course, that’s your hobby in itself), stop and remind yourself of those passion projects and activities you’ve left on the shelf. To make time for your hobbies after work and on the weekends, try to portion out the free hours you have, ensuring that most of them are allocated into more productive avenues. This goes hand-in-hand with setting yourself a strict schedule for your daily and weekly goals. Do you really need to marathon all those movies in your Netflix queue? Or should part of that time be spent practicing the guitar, or working on that online marketing class you’ve been taking up? Perhaps what’s stopping you from spending more time on hobbies and side projects is the extra effort needed before actually doing them. Maybe your closest gym is a trek to get to, or it’s a pain to set up your lighting and cameras for that next Youtube vlog. Perhaps you simply don’t want to leave the house on a Saturday morning for that dance class. According to author of “The War of Art”, Steven Pressfield, we feel a force of “resistance” when it comes to tackling activities that we deem important. If you know your hobbies are significant to your overall well-being and goals, it’s normal to still feel unmotivated at times to give them the attention they deserve. Of course, it doesn’t help when actual roadblocks stunt you from doing these activities. If this sounds like your predicament, it’s time to create less resistance towards your goals. Instead of changing at home after work and making that 15-minute walk to your nearest Fitness First, pack a change of clothes with you in the morning and head on to a gym close to your workplace instead. Reserve a special spot in your house for a static lighting and camera setup so the laziness to film your next vlog is less likely to come by. As you identify the free chunks of time in your daily schedule to fit in your hobbies, another hack is to figure out whether you can take them to work with you. If it’s a pastime that’s “portable” – like reading, listening to podcasts, blogging – perhaps you can incorporate them into your work day by making time for them during your breaks or your morning commute. 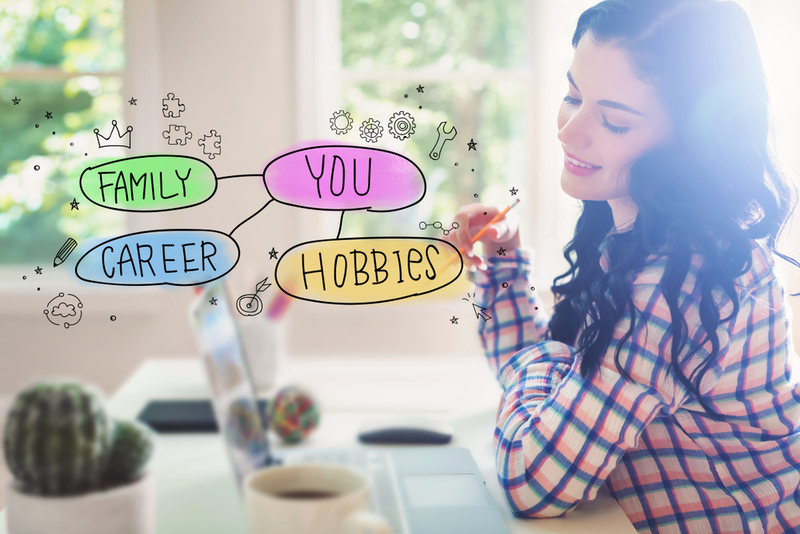 By making your hobbies more accessible activities that you can tend to during or right after work hours, you are far more likely to spend time on them as they’re constantly readily available. Lets face it – all the planning in the world still isn’t giving you the power to do EVERYTHING. Amongst all the scheduling and time management, it’s imperative to also be realistic with your time. There will be days when work gets more demanding, giving you little space for your hobbies. You may realise that, while you’ve scheduled in time for multiple classes in a week, you simply don’t have enough in your “energy budget” to spend on all these extra activities on top of your full-time job. And that’s totally fine – your hobbies won’t be going anywhere anytime soon, so it’s mandatory put your occupation first. All you need to do is learn how to flexibly rearrange your schedule when the occasional urgent event pops up unexpectedly. Balancing a healthy life of full-time work and side passions is absolutely do-able with the right mindset and time management. It’s good to keep yourself stimulated with interests outside of work and to find time for personal goals and side hustles. With these tips, hopefully you’ve found a new motivation to make time for the activities you love to do. Ready to make time to pursue a new interest on the side? Perhaps there are certain sets of skills that you’d like to dive more into outside of your work life. There are a variety of online courses available on Upskilled to help train you in the areas or industries of your interest, and the best part is – they provide flexible online delivery, enabling you to strike that perfect balance between work and other fields that interest you. Check out this comprehensive range of online courses here.